Dexedrine is the brand name for dextroamphetamine, a drug used in the treatment of attention deficit hyperactivity disorder (ADHD). Taking too much of this medication can lead to serious consequences and the need for recovery from Dexedrine overdose. The National Institutes of Health (NIH) warns that this medication can be habit-forming.1 As this drug is prescribed to treat a health problem, some people may find it difficult to admit that they have become addicted to it. Over time, the user can build a tolerance to Dexedrine. The increasing tolerance may compel one to take the drug in larger and larger doses. This can lead to drug overdose. If you have noticed these symptoms in yourself or in someone you love, you should call 911 and seek immediate medical attention. 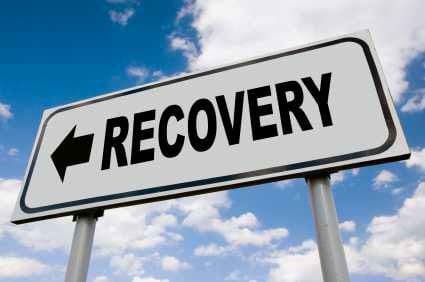 An experienced recovery center can help you detox the drug from your body and begin the path to recovery. For help in locating a recovery facility, please contact us today at 1-888-319-2606 Who Answers? . To help build a healthy future, find a recovery program that will meet all of your needs. One of the first questions that many people have about attending a recovery program is whether they will need to stay at the facility. Although outpatient programs are available, many people find that an inpatient facility is more suitable for them. This is particularly true when you need to go through detoxification, a phase in your recovery that usually requires medical assistance. An inpatient residential recovery center will provide you with around-the-clock care, with experienced medical staff constantly monitoring your condition. You will receive assistance with lessening the withdrawal symptoms you may experience as the drug is gradually purged from your body. In considering different facilities, make it a point to ask how detox is handled at each facility. While finding a recovery center that is able to address your immediate medical needs is important, your total recovery is of no less significance, especially in the long run. So, a suitable recovery program should be able to provide you with a comprehensive array of individual and group counseling to help you address the underlying causes of your addiction. Once you have identified the triggers for your addiction, you will then be able to develop coping mechanisms to assist you in abstaining from substance abuse in the future. In addition, look for a facility that is staffed with counselors trained in treating co-occurring mental health and addictive disorders, given that mental health problems frquently play a role in addiction. The Substance Abuse and Mental Health Services Administration (SAMHSA) reports that the number of emergency room visits due to the abuse of ADHD medications increased by more than 15,000 between 2005 and 2010.2 You don’t, or your family member doesn’t, need to become a statistic. Help is available. No matter how long you have battled this addiction, you can overcome it. Contact us today at 1-888-319-2606 Who Answers? for help in locating a recovery program. Recovery from Dexedrine overdose is possible with the right help.
. National Institutes of Health (2016). Dextroamphetamine. U.S. National Library of Medicine: Medline Plus. Retrieved from: https://www.nlm.nih.gov/medlineplus/druginfo/meds/a605027.html.
. Substance Abuse and Mental Health Services Administration (2013). Emergency Department Visits Involving Attention Deficit/Hyperactivity Disorder Stimulant Medications. Retrieved from: http://archive.samhsa.gov/data/2k13/dawn073/sr073-add-adhd-medications.htm.